The president gave in to Russia’s demands on missile defense, breaking promises to our European allies. He agreed to cut U.S. nuclear weapons disproportionately, in exchange for Russian cuts to weapons that were already obsolete. Even after discovering that Russia was violating the Intermediate-Range Nuclear Forces (INF) Treaty, he pledged further U.S. cuts. And when Russia threatened a potential NATO ally, the president let Vladimir Putin have his way. That president was Barack Obama. 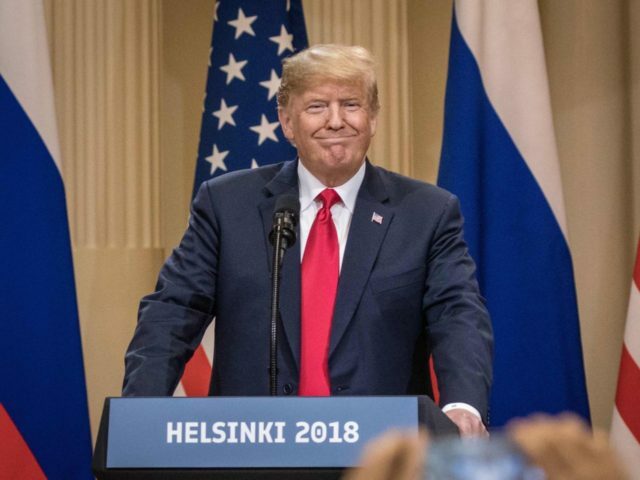 President Donald Trump, by contrast, has just announced that the U.S. will be withdrawing from the INF Treaty, due to Russian violations. It is only the latest action the Trump administration has taken against Russia, including: launching airstrikes against the Russian-backed Syrian regime over the use of chemical weapons; telling Europe to pull out of a natural gas deal with Russia; sending military assistance to Ukraine; withdrawing from the nuclear deal with Iran, over Russian objections; and imposing sanctions on Russian officials. NATO announced that its members “fully support” President Trump’s decision Friday, and urged Russia to comply with the treaty. That may have come as a shock to Democrats, who have been accusing Trump of undermining the alliance. In fact, earlier this month NATO Secretary General Jens Stoltenberg praised Trump for “real results” after his “clear message” pushed members to raise defense spending by $100 billion. Top Dem on Senate Foreign Rltns Cmte Menendez on withdrawal from INF Treaty: President Trump clearly lacks an appreciation or understating of the importance of arms control treaties and today’s withdrawal is yet another geostrategic gift to Vladimir Putin. So much for Russian collusion. Now Democrats must explain why they oppose NATO.